Since I left my Dunedin hall of residence in 1999, I’ve done what many renters do – moved almost annually. I count thirteen homes in fourteen years, and a great deal of effort and expense. I’ve paid good money for the privilege of dwelling in dingy, mouldy, pest-infested, under-heated dumps and progressed well up the rental ladder from dingy student flat to palatial family home. But in hindsight, I don’t consider any of our rental homes truly ‘healthy’. Our last house in Paraparaumu Beach rented for $470 per week and still required regular curtain washing to remove built-up mould. Yuck. During our many moves, we’ve added three babies to our family. And while we did our best to ensure stability in our family home, inevitably our children were shunted from plunket to plunket and kindergarten to kindergarten with each change of address. Like so many renters, we longed for the stability that’s assured when owning a home, but in between paying for food, clothes and education, couldn’t quite manage to scrape together the required deposit. searched high and low to no avail for a family home with adequate heating. We’ve lived through some difficult scenarios, and the memories make me furious. I’m now in an interesting position to comment on the rental housing market in New Zealand because I’m watching the situation from afar. At the end of 2013, our family flew the New Zealand coop, joined the ‘brain drain’ and beelined for greener rental pastures – Swiss rental pastures – where we now enjoy some of the highest standards of housing in the world. Our decision to leave was not based solely on rental rights and standards – although they played a large part in our dissatisfaction with Kiwi life. Shortly before making the decision to leave, we were agonisingly close to having the coveted 5% deposit saved for our family home, only to have the rug pulled out from under us as banks increased their ‘capital to value ratio’. That was perhaps the final straw. The silver lining in our story is that eighteen months later, we now find ourselves enjoying a truly first-class renting life. 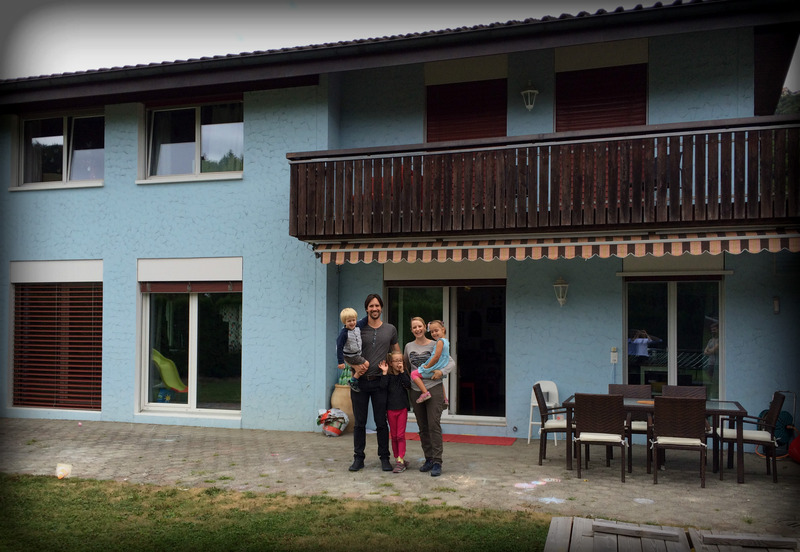 I write to tell you a little bit about the Swiss rental market, and the effect it’s had on our family life. I hope our story illustrates that your fight for better rental rights is well worth the effort. To a Kiwi girl, Swiss renting is surreal. But in Switzerland – and Europe in general – it’s long been understood that an excellent rental market is not a privilege, but a necessity. no negative impact to social status. Although some residents own their own homes, they’re the minority. And whether or not a property is rented or owned seems to have zero impact on either how well the property is maintained or how much pride in their home an occupant enjoys. Both home ‘owners’ and ‘occupiers’ enjoy many of the same benefits. As a result, being a Swiss renter isn’t seen as a second-class option. But it’s the emotional effect the Swiss rental housing market has on its residents – particularly families – that I find most profound. Despite having barely a beginners’ grasp on the local language, the fact that our tenancy is secure makes us feel at home. We’re a family from the other side of the world, but we’re able to participate fully in our local community. Our children are established in their school and kindergartens, and there’s no risk of having to move and reestablish our community connections. Living a more stable rental life has had a big impact on our happiness. Never before have my husband and I felt like truly legitimate, worthy adult members of our community. Nor had we realised that this was directly related to our status as renters in New Zealand until we left it behind. However, it would be remiss of me to argue that the Swiss model can simply be applied to the New Zealand market. There are significant costs and obligations associated with this high standard of rental living. While we enjoy no rental inspections and can make alterations to the property, the home is expected to be in its original high standard when we vacate. This means moving can be incredibly expensive. Professional cleaners, gardeners, painters and plasterers may all be required to make the grade. At the beginning of the tenancy, a significant bond of up to three months rent (on average 10,000+) is required. This won’t be returned in full if the landlord needs to pay for repairs and maintenance. Renting costs a high proportion of a high income. Fortunately, incomes are high to offset the 3000-odd Swiss francs per month required for the average family home. Tenants are expected to organise and pay for minor repairs to the property throughout their tenancy (less than 250 Swiss Francs). It would be difficult for many New Zealanders to come up with a large deposit required to ensure rental properties are adequately protected. Neither, I’m sure, would many landlords be happy not knowing what state their rental properties are in for a long period of time. However, simple steps toward a more egalitarian ground in New Zealand can be taken. Rental warrants of fitness and rights to longer-length tenancies as are being advocated will be a great start. As the New Zealand rental market stands, I’m in no rush to enter it again. My family, like any other, requires stability, security and community in order to grow strong. Now that we’ve experienced the Swiss renting life, it would be difficult to go back. However, I’m heartened and hopeful for the future of New Zealand renters. Organisations such as Renters United, and discussions following the publication of Generation Rent, show that a new generation of smart, civilly active, caring citizens are working hard to achieve a better reality for Kiwi renters. Rachael Soster-Smith is a freelance writer and mother of three living in Zurich, Switzerland.